former Rolling Stone music editor Dave Marsh says: "This is a brilliant, brilliant album. I have had this reaction once in the last 10 years and that was the first time I heard Patty Griffin." 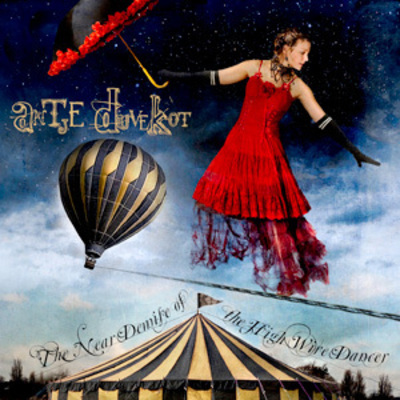 Antje Duvekot has solidified her reputation as one of Boston's top singer songwriters with "Big Dream Boulevard" her debut studio release and "the Near Demise of the Highwire Dancer" and "New Siberia" her follow-up albums. 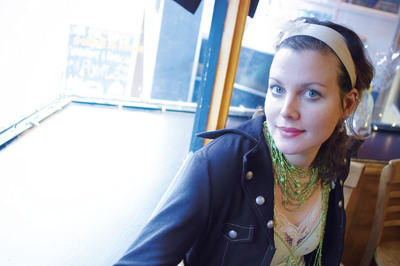 The debut CD was produced by Seamus Egan, founder of the Irish super group, SOLAS and the project was released on songwriter Ellis Paul's label and quickly attracted international attention for Antje. It was voted "#1 Folk Release of 2006" by the Boston Globe and was named to the "Top10 Releases of the Year" by National Public Radio's, Folk Alley. Her follow up albums "the Near Demise of the Highwire Dancer" and "New Siberia" were produced by Richard Shindell and along side with Richard feature other "folk royalty" such as John Gorka, Lucy Kaplancky and Mark Erelli. Antje has won some of the top songwriting awards including the Grand Prize in the John Lennon Songwriting Competition, the prestigious, Kerrville (TX) "Best New Folk Award" and in one of the nation's top music markets, she won the Boston Music Award for "Outstanding Folk Act", three of the top prizes in the singer songwriter world. Antje has extensive touring experience, criss-crossing the US and Europe many times. She is a compelling live performer and has been invited to play some of the top festivals including The Newport Folk Festival as well as the Mountain Stage, Philadelphia and Kerrville Festivals. Internationally, she's headlined the The Celtic Connections Festival in Scotland and the Tonder Festival in Denmark. 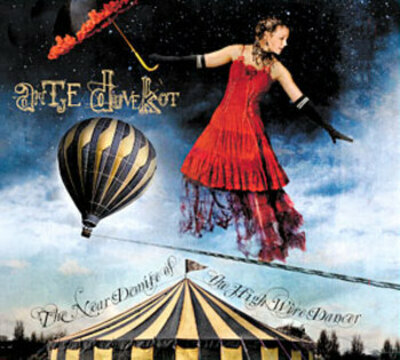 In December of 2007, The Bank of America featured Antje's song "Merry Go Round" in a national TV advertising campaign seen by millions, including a Super Bowl audience. Antje's fast growing fan base, the viral spreading of her music and a track record of sold-out shows are a testament to her growing popularity. Neil Dorfsman, the producer of Bob Dylan, Bruce Springsteen and Sting says, "When I first heard Antje I knew I was witnessing something very special. She creates an entire, detailed world in verse, and takes you there with beautiful and understated melody. Her songs are stunning paintings of color and shade and always generate the heat and light that real art should. In an unpoetic and 'in your face' world, she is lyrical and subtle"
In 2010, Antje played the TEDMED conference in san diego (among the unveiling of ozzie osbourne's genome). according to CNN: "Then, this morning, the tone of the conference turned from intellectual to deeply emotional when Antje Duvekot got up with her guitar and sang about her grandmother descent into Alzheimer's disease. Twitter revealed that I wasn't the only one who was holding back tears - Duvekot's song was all too relatable for those of us who have watched loved ones slip away. 'And Anna tries to form a thought / But at the end she's forgotten where she started from / There's something she would like to say / But the words in her head seem to have got away' she sang".